TMB Events – THE GREATEST SHOW ON EARTH! Thursday 18th December saw the Christmas Party for a new client of ours, Invesco Perpetual, take place at the Lancaster London Hotel. Armed with a brief for a Circus Theme, we got to work and created a vision of the big top drapes and props for the evening. 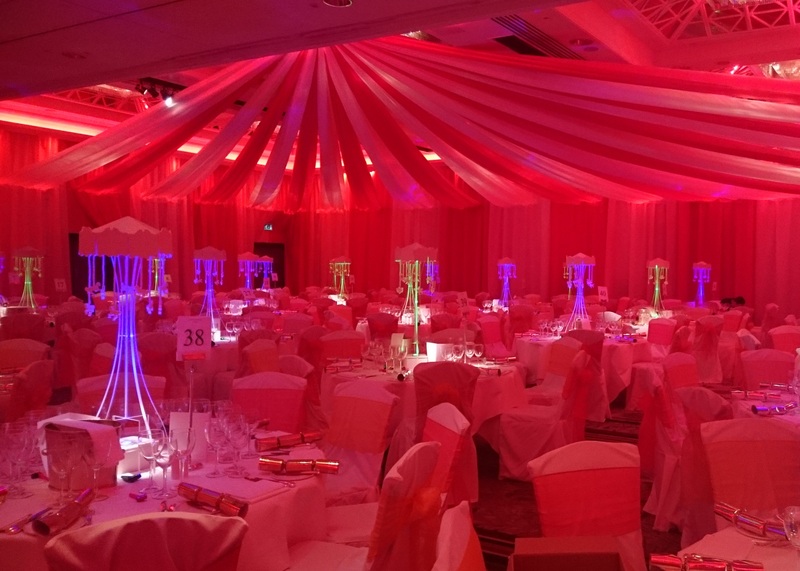 The result was a complete transformation of the Nine Kings Suite with wall draping, big top ceiling drapes in red and white and carousel table centres. We used red and white striped stalls and props which included a life size lion for the drinks reception. A band and DJ had guests dancing the night away whilst games stalls with prizes and a photobooth entertained others. TMB Entertainment also provided a Ringmaster to welcome guests and host the evening. The hotel staff were amazed by the transformation of the room and the client received the best feedback they’d ever had for the evening!